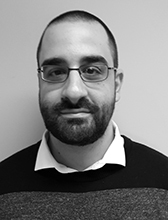 David Hofmann is a Terrorism Research Awardee with START working with TRA Mentor Dr. Gary Ackerman on "Threat Identification and Threat Assessment of Apocalyptical and Millenarian Groups within Canada." His current research is focused on three broad areas: right-wing extremism, apocalyptical and millenarian groups, and terrorist and criminal networks. Although the threat of Islamist terrorism remains one of the most pressing concerns for national security, there is increasing empirical evidence suggesting that right-wing extremism in North America is a growing threat. In order to take a proactive approach to emerging security threats, Dr. Hofmann is gathering quantitative, sociometric, and qualitative data on the Canadian Freemen-on-the-Land movement, and on the Sovereign Citizen movement in the United States. He is currently writing a book chapter on the Canadian Freemen for the 2016 edition of Canada Among Nations. As part of a post-doctoral award given by the National Consortium for the Study of Terrorism and Responses to Terrorism (START) at the University of Maryland, Dr. Hofmann is conducting research into the potential security threat posed by apocalyptical and millenarian groups (AMGs) that may be at risk of carrying our large-scale violent acts. The goal of the project is to develop a custom tool to quantitatively assess and systematically rank identified AMGs by levels of current and future threat. Dr. Hofmann is currently gathering sociometric data on several terrorist and criminal networks in order to conduct social network analyses related to questions surrounding how illicit and covert organizations structure themselves in order to protect important leaders and actors from outside interdiction by law enforcement and security agencies.